It's been a while since Kailyn Lowry's mom, Suzi, has appeared on Teen Mom 2 — and now we know why. It turns out, Kailyn and her mother have not spoken in years, and Kailyn is not sure she's ready to reach out to Suzi if she is not 100 percent sober. To make matters worse, Kail wouldn't even know where to begin when it comes to reconnecting with her estranged mom. So, what happened between Kailyn and her mom? "I just found that I had to cut my mom off completely," Kailyn said on her podcast. "Now, I'm not as angry but now I'm starting to like, I don't know, like my third son just turned 1, and I don't even know if my mom knows I had a third son. I don't know where she lives, I don't have her phone number, nothing. So, I want to start from scratch and reach out to her, my sister." She went on to explain she hopes to reconnect with her mom so she can have a better relationship with her grandchildren — Isaac, 9, Lincon, 5, Lux, 17 months. "I want it for my kids because when my mom's sober she's such a good person," Kailyn explained. "I want my kids to experience that." 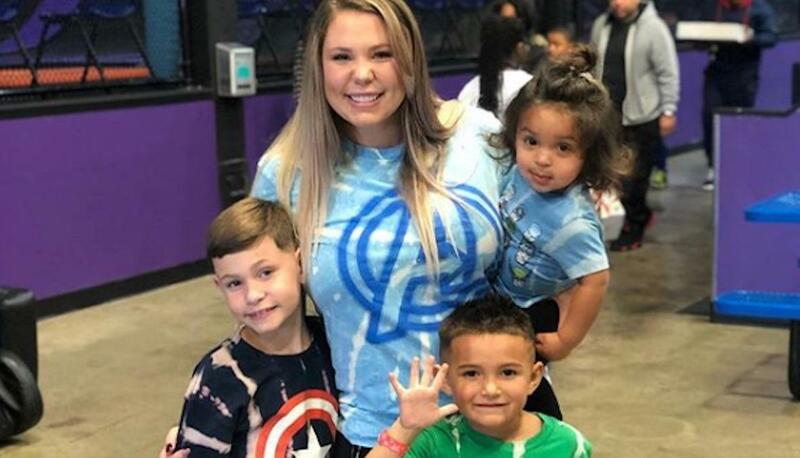 Recently, Kail revealed that her mom and her extended family did not show up to Lux's birthday party, telling her podcast listeners, "Like nobody, not even my extended family came… I was like, ‘I don’t have a family.' My sister didn’t come, my mom didn’t come; I don’t even have a dad…My third son just turned one and, my mom, I haven’t heard from her. I’m kind of in my feelings about it…." Fans of the MTV reality series will remember that when Kailyn got pregnant with her first child in 2009, her mom signed over her parental rights to Jo Rivera's parents. "Right before that, she was sober for about nine months," Kail said. "That’s the longest she’s ever been sober. But, my mom has always relied on a spouse." Kailyn with Jo's mom, Janet. Sobriety continues to be a sticking point for Kailyn, and the 26-year-old revealed she last spoke to her mom was when her middle son, Lincoln, was six months old. "There was a time where I left Lincoln with her," Kail added. "When I came back, she was so f--ked up." When Kailyn asked her co-star Tyler Baltierra how he has forgiven his father, who has also struggled with sobriety, he suggested she work on herself and to remind herself that addiction is a disease. However, Kailyn admits that is hard for her to do. "I have a really hard time with that," she explained. "I don't have any sympathy or empathy or whatever you want to call it. I don't have it for my mom." Kailyn continued, "Am I ready to have a relationship with her again? Do I want a relationship with her? Am I going to be OK with it if she's not sober all the time? I don't know." Where is Kailyn's mom now? While Kailyn claims to not even know if her mom is alive, but according to The Ashley's Reality Roundup, Suzi is very much alive and living "less than two hours from Kail’s home." Unfortunately, shortly after her podcast aired, Kailyn had a change of heart about reconnecting with her mom and tweeted, "Sorry to disappoint but I no longer want to reach out." 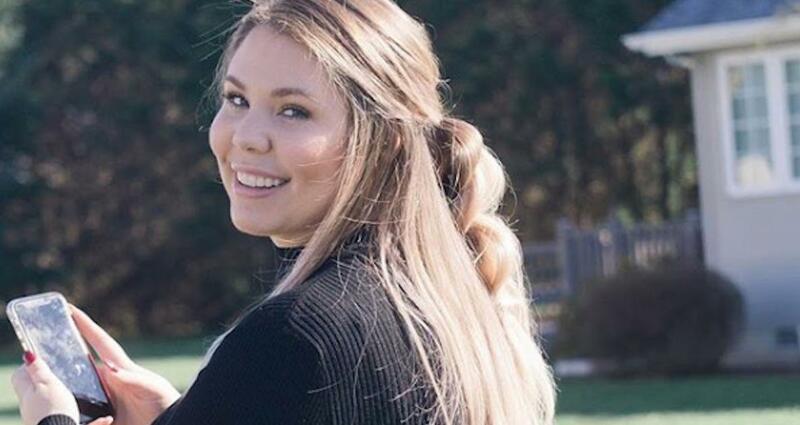 As for her dad, Kail hasn't seen him since she she reunited with him while filming 16 and Pregnant nearly one decade ago — and the first thing he did was ask her for $20. "[Before I met him] I was like, 'My dad is going to come rescue me someday,'” she said at the time. "I’m going to have this superhero dad that’s going to come in when my life is f--ked up and he’s going to make everything better. And then I met him and I was like, ‘Oh f--k, no, this is not what I expected.'" Watch Teen Mom 2 Mondays at 9 p.m. EST on MTV.